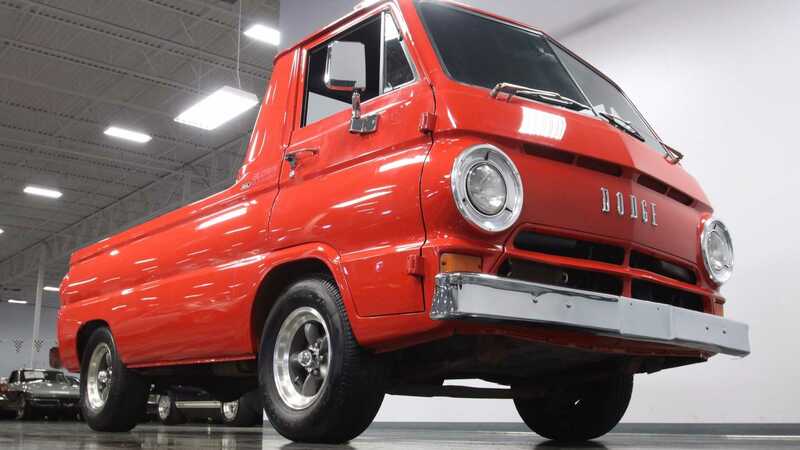 Due to the bold color and beefy powertrain, this 1967 Dodge A100 Pickup is dubbed the Little Red Wagon in the ad where it seeks a new home. 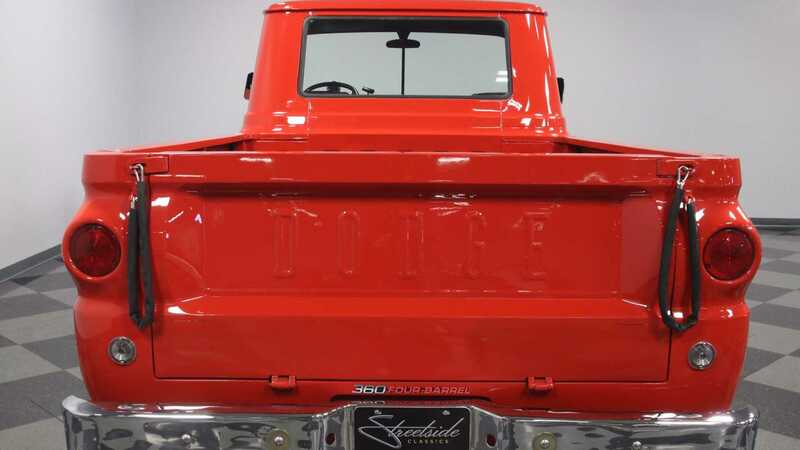 The name, of course, comes from a racing heritage that kickstarted a cult following, especially after the original Little Red Wagon was known as being the fastest truck in drag racing, at least during its time. 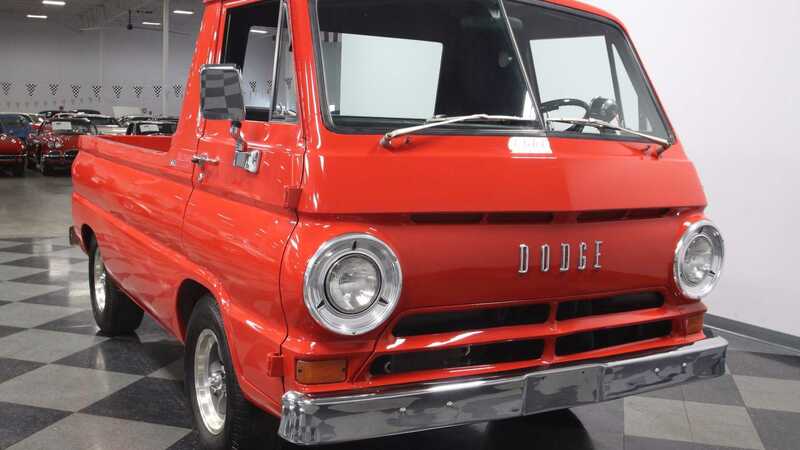 The Dodge A100 line is a range of vans and trucks with a smaller statue than conventional full-size pickups. 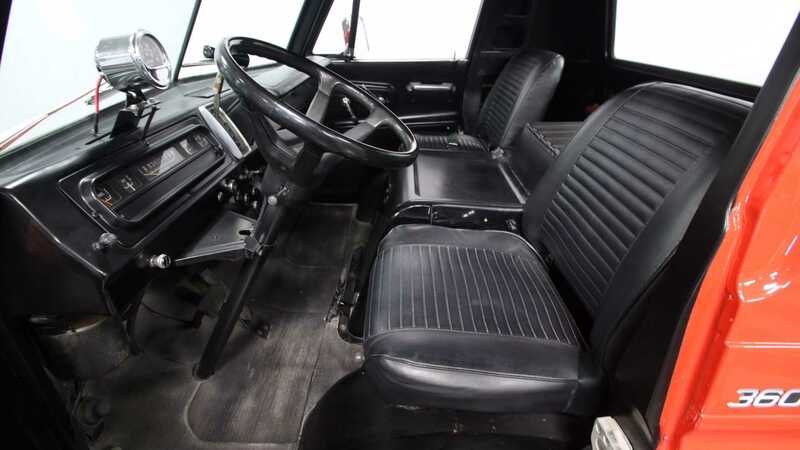 Its forward control placed the driver right on top of the front axle, with the engine placed near the front tires, making it a cab over vehicle. Due to this design, the drivetrain was also positioned right in between the driver and passenger, where they sat over the front axle. 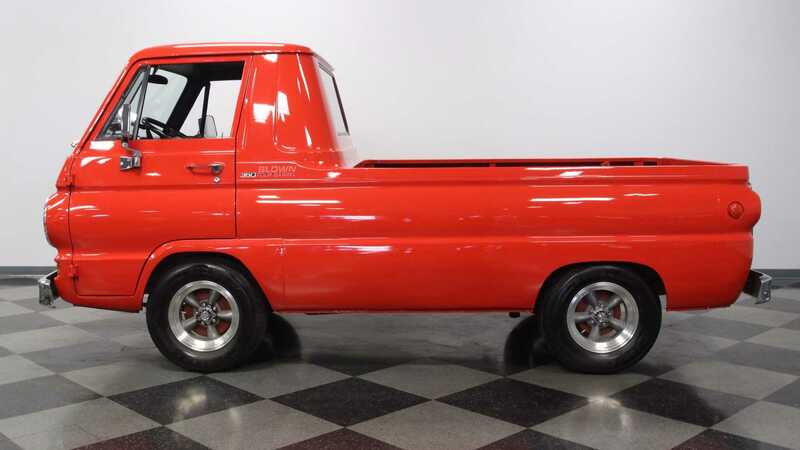 The unibody truck rolled off the factory line with short wheelbase of only 108-inches, which was surprisingly 18-inches longer than the prior years. 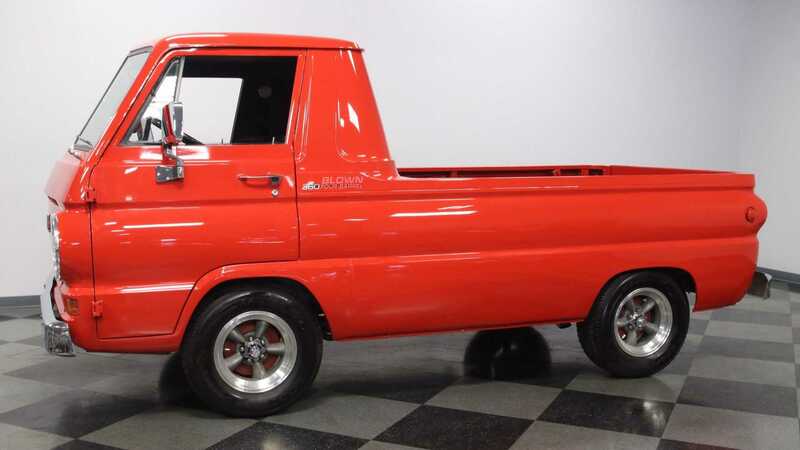 The compact size, flat nose, and chrome plated bumpers give the little truck a ton of distinction, not that it needs much to stand out since there’s so few examples still left around to see in person. 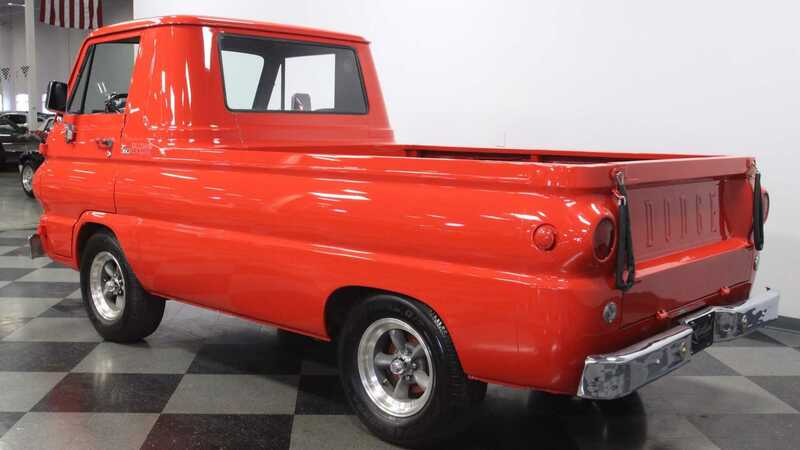 Complete and correct, the glossy red pickup rolls on American Racing Torq Thrust D competition wheels that are wrapped in Cooper Cobra tires, and has a little bit of a surprise for onlookers. 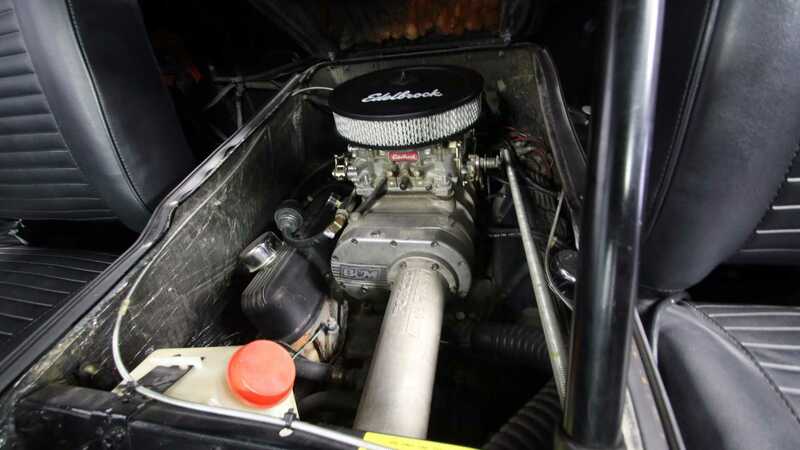 A meaty 4bbl carbureted 360 cubic-inch V8 with B&M supercharger feeds into a Torqueflight A727 three-speed automatic transmission. There’s no mention of the actual power output, but considering the smaller size, and positioning of powertrain to make for excellent weight distribution, it certainly has more than enough to make its racing ancestors proud. This truck represents the scarcity and uniqueness of the model, that brings plenty of style and flare to the table in stock form, and then ups the game with its blown engine. 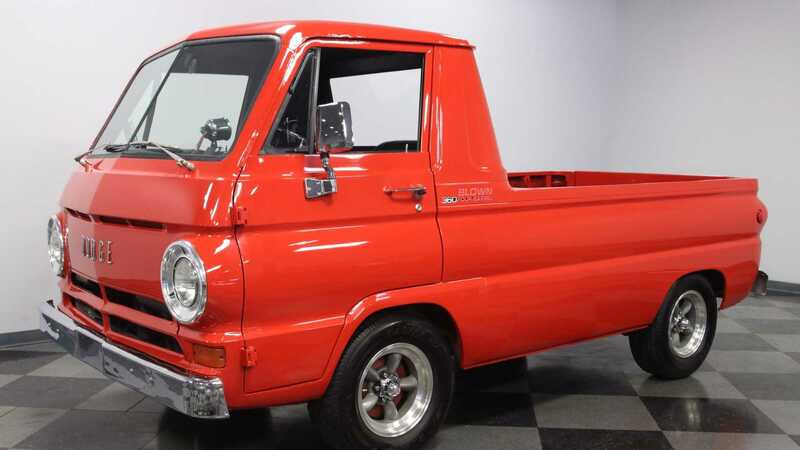 It could make for a serious little street truck, or be a great candidate as a vintage racer.